Jeera or cumin seeds are not only flavorful but also have many medicinal properties. 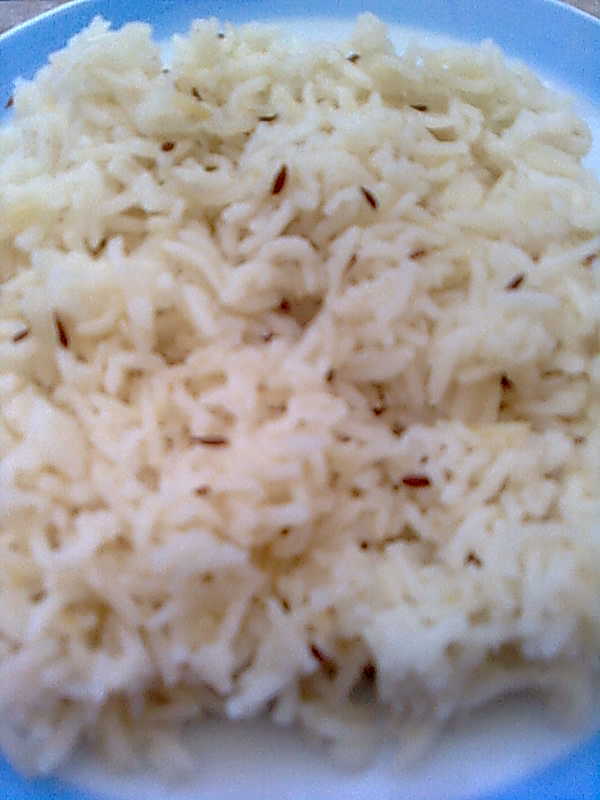 If you are entertaining a few guests and don't want to serve plain boiled rice, then jeera rice is an ideal choice. There is not much fuss and it can be prepared at a short notice. You can also cook jeera rice in a pan or microwave oven. 1. Wash rice and soak for 20 minutes. 2. Heat oil or ghee in a pressure cooker and add jeera. When they change color, add onion. Fry till light brown. Add cumin powder. 3. Add rice with 2 cups of water and salt. Pressure cook to 1 whistle. 4. Take out on a serving platter and fluff jeera rice with the help of 2 forks.